Chevrolet was in the sales driver’s seat in the 1960s as it churned out hit after hit as we were all busy seeing the U.S.A. in our Chevrolet. But even then its cars were growing in size and stature so quickly that by 1964 Chevy realized it needed a more moderate sized model to compete with Ford’s Fairlane. Chevelle was Chevy’s answer, and it too was a resounding success. Not only was Chevelle more modest in dimensions, it handled better and when Chevy started souping it up, quickly became one of the earliest muscle cars. 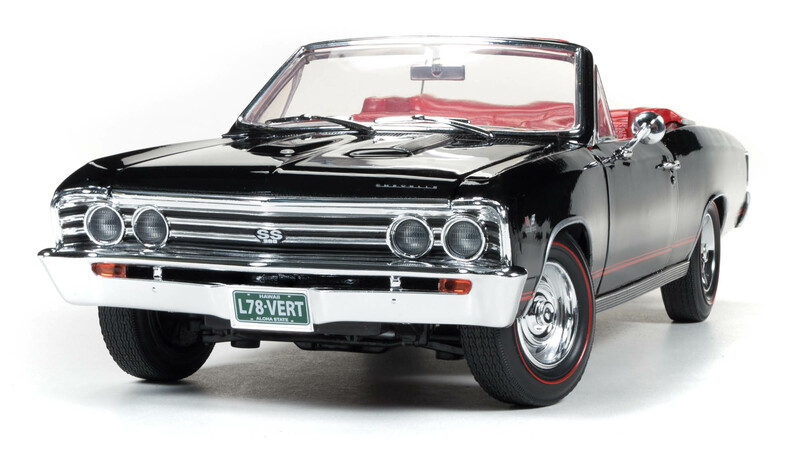 The past few years Auto World has created a variety of Chevelles due to their popularity, but now goes back to the first generation, built for model years 1964-’68. 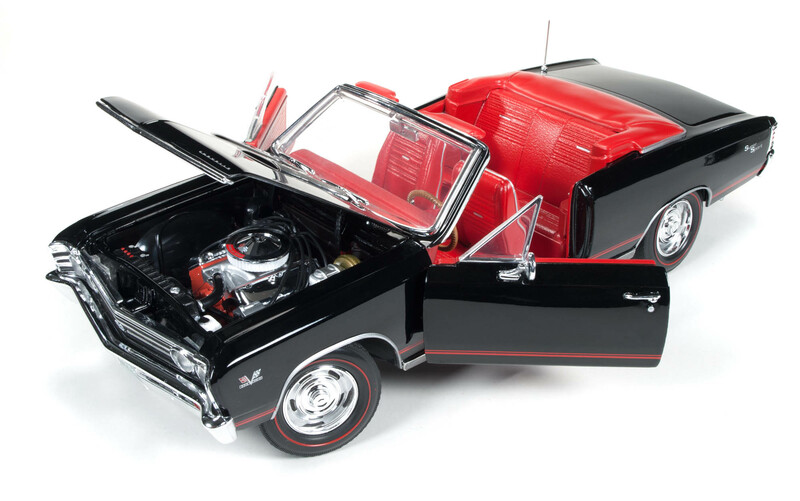 Again, Auto World creates a well-detailed 1:18 scale model at an attractive price, making this offering especially appealing to a wide audience of muscle car fans. While I prefer post-war cars, probably something to do with my age, I appreciate fine car design from earlier eras, such as the 1930s. Automodello’s fine 1:43 resin models seem to know no styling limits and certainly bridge a variety of decades. 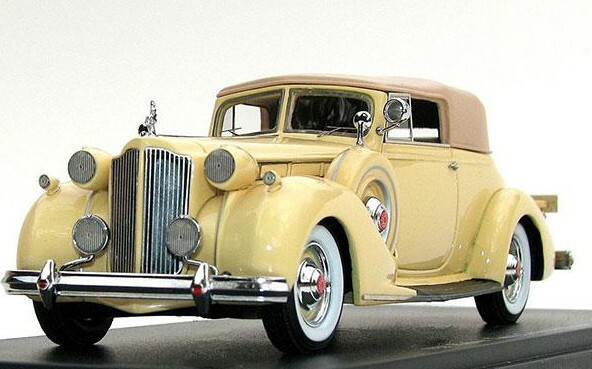 So there’s no surprise that Automodello now turns its attention to the stylish 1938 Packard Twelve, the review model being a convertible Victoria, with removable tan top over an ivory white body. I’d consider the body a creamy light yellow, but one man’s ivory is another’s yellow. Back in the day, that’s pre-school days for me, a big gruff Broderick Crawford rounded up bad folks on the TV show, “Highway Patrol,” pursuing evildoers in a variety of Buick Century coupes and sedans. The car appeared as massive as Crawford and you just knew that you didn’t want to mess with this man, or his car. 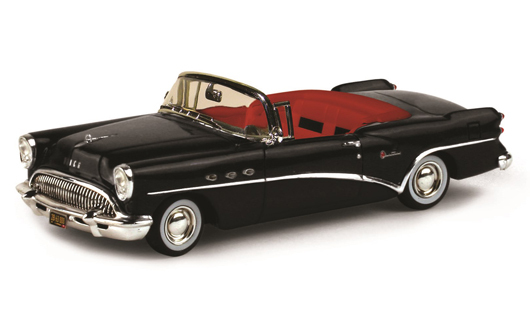 Today TSM (True Scale Miniatures) Models creates a less threatening 1954 Buick Century convertible for us die-cast fans, this one in 1:43 scale and a glossy black with red interior – sharp! The Century exuded speed and muscle, in fact, its name marked the first Buick to hit the 100 mph mark back in 1936. But the name had gone dormant for a few years when Buick revived it in 1954 for its lineup of light (at the time) luxury speedsters. Century came as a sedan, Riviera hardtop coupe (Crawford’s first patrol car) and 4-door wagon in addition to the convertible. 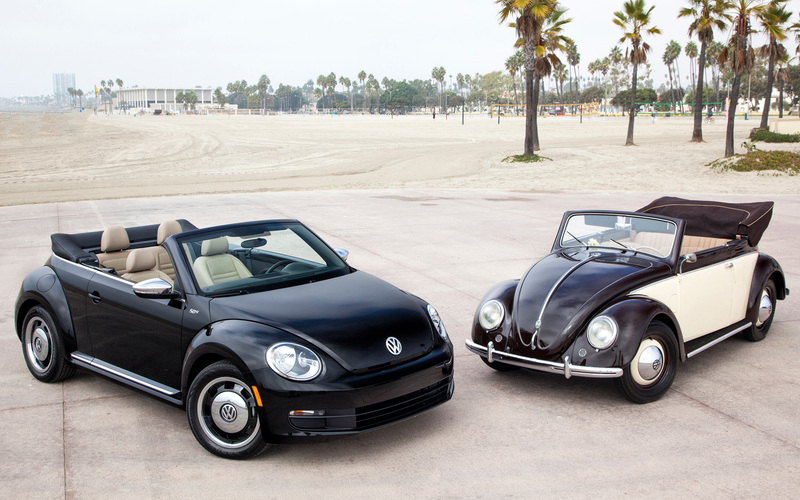 But the convertible was rarest, just 2,790 being made in the first year of this body style. It packed a 322-cid V8 that pumped 200 horsepower. This was Buick’s Roadmaster engine that just kept gaining power until it reached 255 horses by the 1958 model that ended Century’s run, at that time. I had to laugh at the timing. After a beautiful spring week, a “velocity yellow” Corvette Stingray convertible showed up for a test drive as snow was flying and the temperature had dropped to the mid-30s, ah Spring in Wisconsin. But by the weekend, the sun and 60+ degrees had returned, allowing me to drop the yellow screamer’s black cloth top, at least for a while. It only takes 20 seconds to power the top down, and you don’t even have to loosen any latches at the roofline. I’d driven the new seventh generation Corvette coupe last fall, but just briefly. 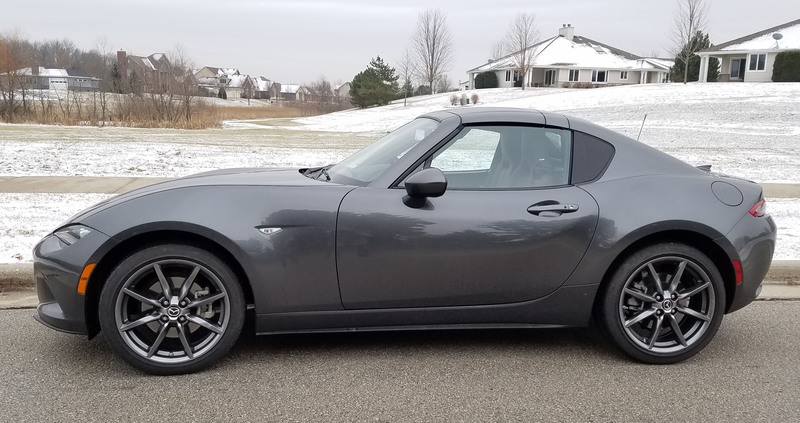 This time I was allowed a week in the bullet-like street racer with its long pointed nose and menacing Star Wars looking tail with four tailpipes bunched together and burbling away happily. Folks always notice a Vette, and slathered in near neon yellow, this one screamed for attention. I was hoping our state troopers would prove color blind. Funny thing, everyone wants a ride when you are testing a Vette. I had new friends at the office, gas station, custard stand, you name it. And why not? The 2014 Vette is not only a looker, it’s a racer, a muscular heart-throb of a car with a massive 6.2-liter direct-injected V8 that features variable valve timing and boasts 29 mpg EPA rating on the highway. And this with 450 horses no less. I’m betting it would get darned close to that if a driver could resist tromping its gas pedal so hard. But avoiding that is like eating just one potato chip, a challenge.